You may have heard about the recent breach in the Shropshire Union Canal Middlewich Branch. As a consequence of an embankment failure the navigation and towpath is closed until further notice. Further updates and information to follow once our engineers have had the opportunity to fully assess the situation." The problems are at the Middlewich Town end of this canal branch and here at Midway Boats, our section of the canal and moorings are unaffected. It does mean that for the time being navigation is restricted to the North / South direction routes of the main Shropshire Union Canal and between Barbridge Junction and Stanthorne Lock on the Middlewich Branch until repairs can be completed to the Middlewich branch. 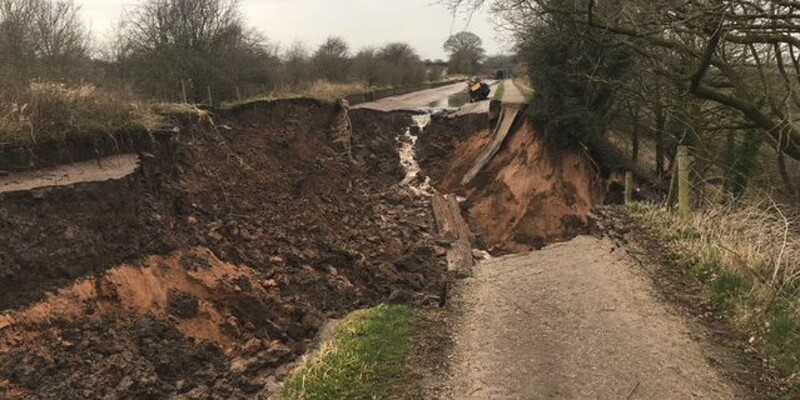 A short section of embankment containing the Shropshire Union Canal, Middlewich Branch, has collapsed overnight, causing water to drain from the canal into the river below. Fast action by emergency staff has resulted in nearly 10,000 fish being rescued from the stretch of canal in Middlewich affected by the breach. MEM Fisheries staff spent a full day on Saturday rescuing roach, perch, gudgeon, bream and eels from the three quarter mile length between Stanthorne Lock and Wardle Lock on the Shropshire Union Canal Middlewich Branch, which has been drained. They collected the affected fish, including a massive 4lb eel, into large buckets and then released them back into water further along the canal beyond Wardle Lock, towards Middlewich town centre. Our emergency engineers were on site all night dealing with the breach, and the canal is currently drained between Stanthorne Lock and Wardle Lock, on the south side of Middlewich town centre, a distance of just over three quarters of a mile. The towpath has also been closed along this stretch. We believe only one householder may be affected, with minor damage to their garden. Between 15 and 20 boats are within the drained section and The Trust will be contacting all the owners today with offers of assistance. The Middlewich Branch connects the Trent & Mersey Canal just south of Middlewich town to the Shropshire Union Canal at Barbridge Junction, a distance of about 10 miles. Constructed in 1827, it is nearly 200 years old. Today our engineers are on site trying to understand the cause of the breach and will be making an initial assessment regarding how to progress repairs, likely timescales and costs. 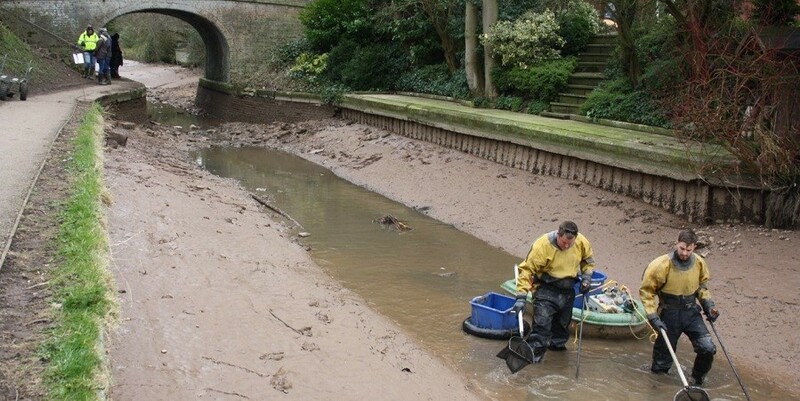 To stay up to date with further News of this breach, visit the Canal & River Trust website at "https://canalrivertrust.org.uk/news-and-views/news"